Do you have a child that is a Minecraft junkie? Do they always talk about different Minecraft adventures, are they watching Stampylongnose on Youtube until you can no longer feel your eyeballs? (lol). You know exactly what I’m talking about, don’t you? If you do – this is something your child will love. The Mod 1 Design course is made for your Minecraft loving child. It will teach them how to create their own world using the Java platform. This includes making their very own blocks, skins, mob, crafting recipes and much more. 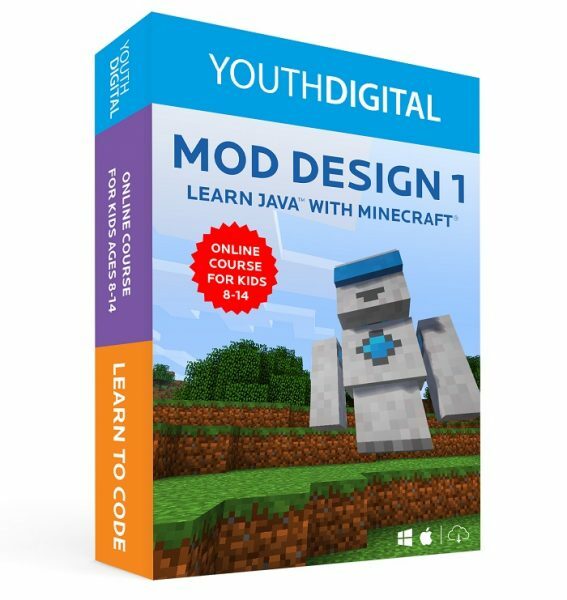 This course, for kids 8 to 14 years of age, is designed to teach Java in a fun and interactive way – it will allow your child’s imagination take control and create nearly anything they want within their Minecraft world. GIVEAWAY ALERT ~ Scroll Down!